Between the Gardens of Stone and Wollemi national parks, two and half hours from Sydney, Emirates One&Only Wolgan Valley is Australia’s first luxury conservation-based resort. The resort occupies just one percent of its own 7,000 acre conservancy. The Wolgan Valley is approximately 26 kilometres long and seven kilometres wide. The Wolgan River cuts a deep gorge through the sandstone in part of the valley, forming a bottleneck that is only one kilometre wide. Steep cliffs contrast with the gentle curve of the valley floor and a picturesque road winds along the river to reach the resort on the eastern end. 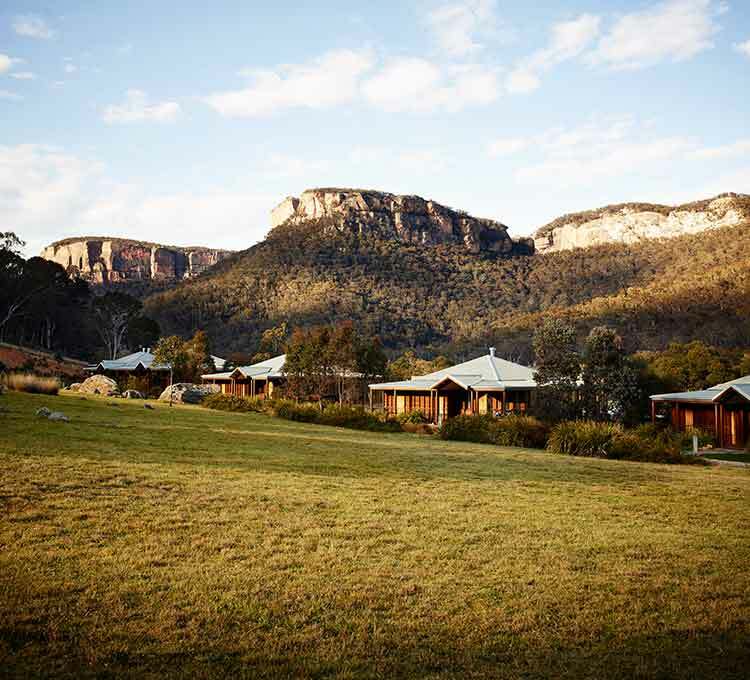 Emirates One&Only Wolgan Valley is not only the first carboNZero©™ certified hotel in the world, but also the first carbon neutral resort in the world to be certified through an internationally accredited greenhouse gas programme. Recertified as a carboNZero carbon neutral resort for the past seven years, the resort was originally built according to Ecologically Sustainable Design principles, including rainwater collection, domestic water recycling, heat exchange technology and solar panel usage - as well as the extensive use of recycled building materials already present on site. 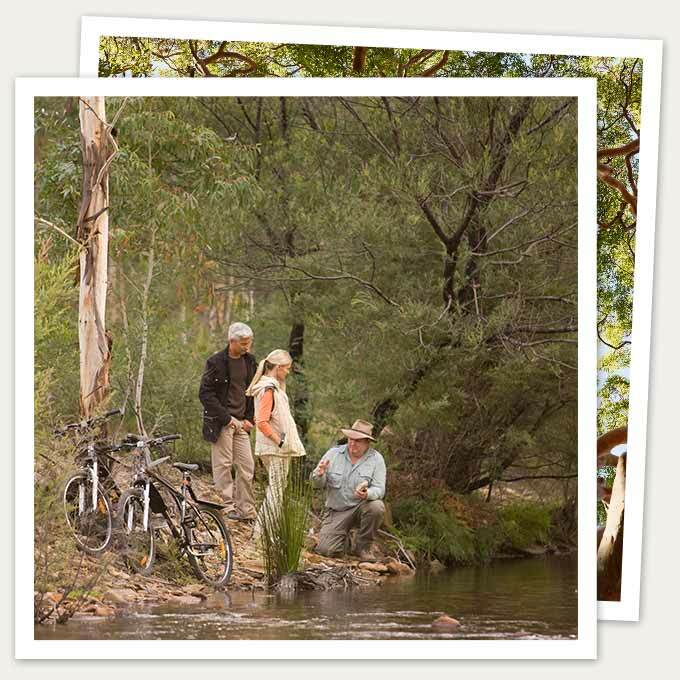 Emirates One&Only Wolgan Valley also undertakes wide-ranging conservation at the property. 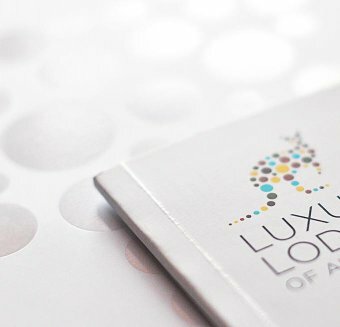 The focus of these programmes is the protection of regional biodiversity and the restoration of habitat; the resort’s extensive conservation work helps to re-establish and secure a future for many of the region’s 1,500 native and endangered species. Emirates One&Only Wolgan Valley is committed to protecting Australian flora and fauna, and has extensively planted native plant species in key areas, to restore the valley's natural balance and beauty, as well as providing financial and practical support to University of Western Sydney for the execution of WomSAT citizen science app. Data collected on the property is loaded into the app, helping researchers to identify opportunities and challenges for wombat preservation. Emirates One&Only Wolgan Valley continues to receive global accolades for outstanding performance in carbon management and conservation such as Enviromark Certification. To learn more about their conservation, please visit.